This is a small book, modest in its ambitions. Light on plot and heavy on atmospherics, you might say. A middle-aged professor takes his young, mysterious bride to Orkney (the Seal Islands, north of Scotland) for their honeymoon. Everyday his research languishes as he watches her out the window; she stares into the sea, and her closed thoughts and wishes torment him. I was drawn to the book by its premise and because I love the sea, and I’ve always been fascinated by the very cold shores that are barely inhabited, so old and so weathered that they seem out of legend and myth, or the very beginning of the world. Orkney brings this kind of landscape into beautiful focus — I’ve never read so many words for the colors of the sea or the sound of the wind. It’s lovely — enchanting, even. It’s not a page-turner, but it’s food for the imagination, and so I recommend it. This sounds like my kind of landscape, too! I hadn’t heard of this book. Thanks! I do enjoy these kinds of ‘meditative’ books. Sounds lovely. It was! 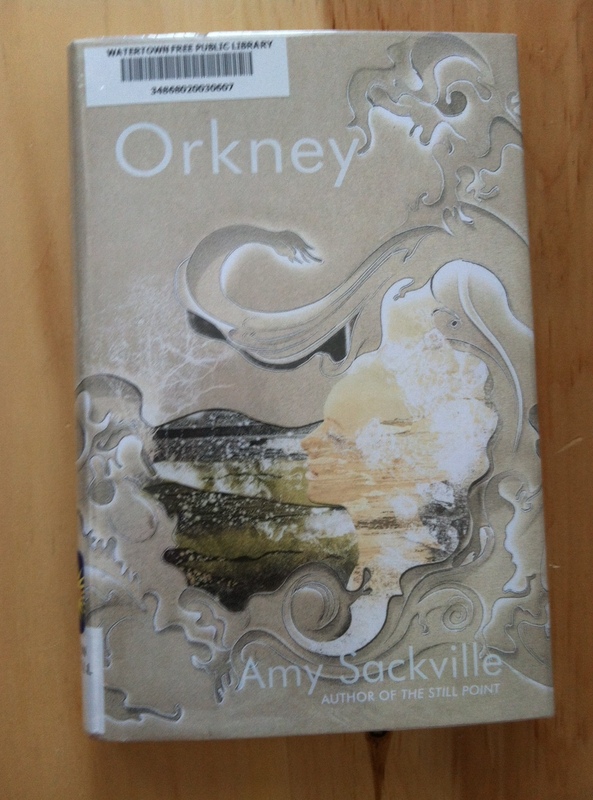 It made me want to visit Orkney.